Connect your LinkedIn Ads account to HubSpot to manage your LinkedIn ads in HubSpot's ads tool. The HubSpot user who connects a LinkedIn Ads account must have Publish access to the ads tool in HubSpot. In the pop-up window, log in to your LinkedIn account. Review the permissions, then click Allow. In the dialog box, select the LinkedIn Ads account(s) to connect to HubSpot. If you want to track contacts that interact with your ads, leave the auto tracking switch toggled on. This will apply HubSpot tracking to your LinkedIn ads. In the dialog box, select the LinkedIn Ads account(s) to sync leads from, then click Save. Learn more about managing LinkedIn Ads accounts syncing leads to HubSpot. The connected LinkedIn Ads account will appear in your Ads Accounts settings in HubSpot. 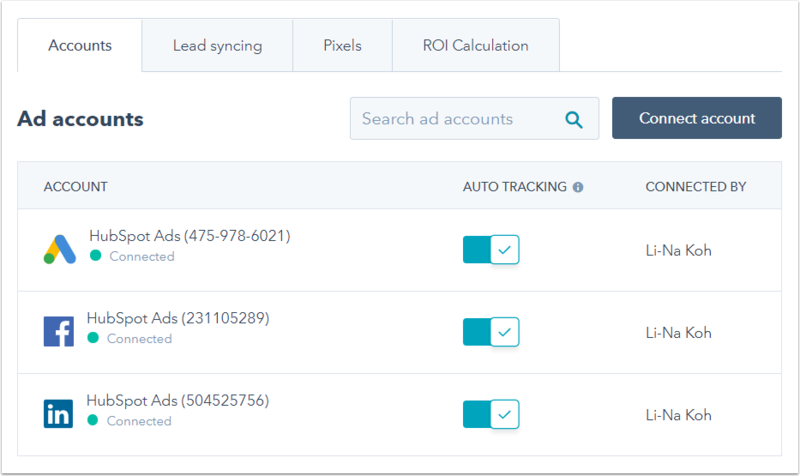 Any LinkedIn Ads accounts syncing leads will appear in the Ads Lead Syncing settings in HubSpot. 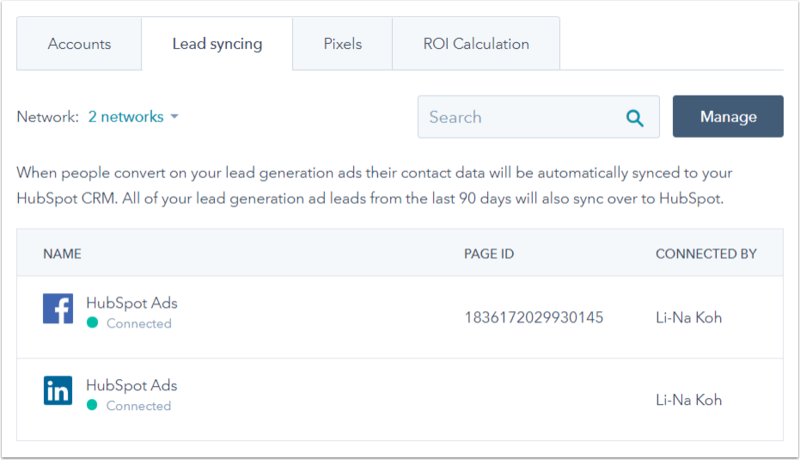 After connecting your LinkedIn Ads account to HubSpot, your existing leads from LinkedIn Lead Gen Forms will automatically sync to HubSpot. HubSpot will use the email address to deduplicate contacts that already exist in your account and update their contact record with any new information from their Lead Gen Form submission, or create a new contact if they don't exist.